In February we published Part 1 of a guide especially for women regarding their money. Keen not to add any more stress to those caught up in their New Year’s resolutions, we waited until January was over. If you haven’t had a chance to read that post, find it here. I, for one, have been very good about building up an emergency fund. Now 5 months later let’s examine 2 more things we women can do to literally invest in ourselves. Build wealth like a boss. This is the big resolution where you make a plan. A woman with a plan gets **** done. Building wealth may sound unattainable; but instead of thinking about building piles of money, think about building money towards your future plans–buying that beach house, going on that dream vacation to anywhere in Africa, or simply feeling like you’re “doing it right” and putting your money to work. Saving money isn’t enough. Why? Because the money that’s invested has the opportunity to earn more money thanks to compounding. Of course, the market will go up and down, but over time, the stock market has historically averaged a return of over 9%. Don’t wait to do it. It’s not rocket science and you can start with as little or as much as you like. Try using an automated investment service like Ellevest, which has no minimums to begin investing and will recommend a professionally managed, diverse portfolio of low-cost index funds. Set up your budget and stick with it. 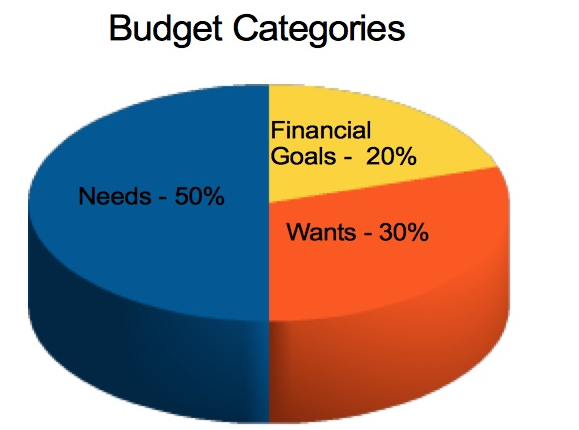 50% for needs, 30% for wants, and 20% for investing. You may not be right on the mark when you start, but over time you’ll get there. One strategy that will help? Pay yourself first. Invest a percentage of your after-tax salary every month through an automatic deposit so you won’t be tempted to spend that money. However, it is recommended that you do this only after building an emergency fund—and not until you’ve paid off your high-interest debt.